What Do Bruce Hornsby and J. Robert Oppenheimer Have in Common? 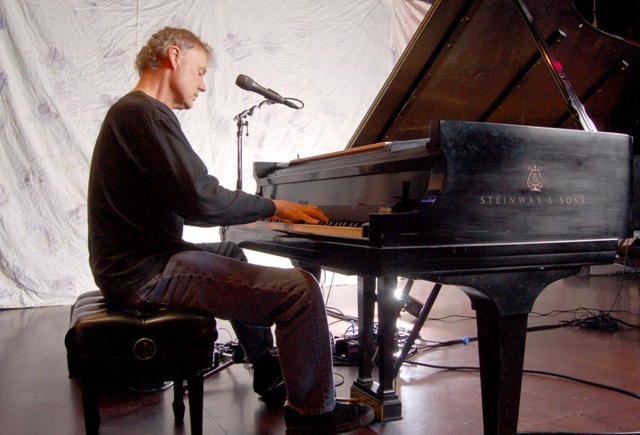 Bruce Hornsby played to an enthusiastic crowd at the Lensic Theater Monday night. He and his Noisemakers band played two sets for several hours. He played a few new tunes as well as many of his old classics. The second set was totally devoted to requests from the audience. I think the loudest applause he got was when he dedicated his poignant song, The End of the Age of Innocence, to Oppenheimer. Hearing Hornsby sing, “O’beautiful for spacious skies, but now those skies are threatening. They’re beating plowshares into swords,” echoed in time with the oft-quoted line from the Bhagavad Gita that Oppenheimer claimed came into his head as he watched the explosion of the bomb, “Now I am become Death, the destroyer of worlds”. 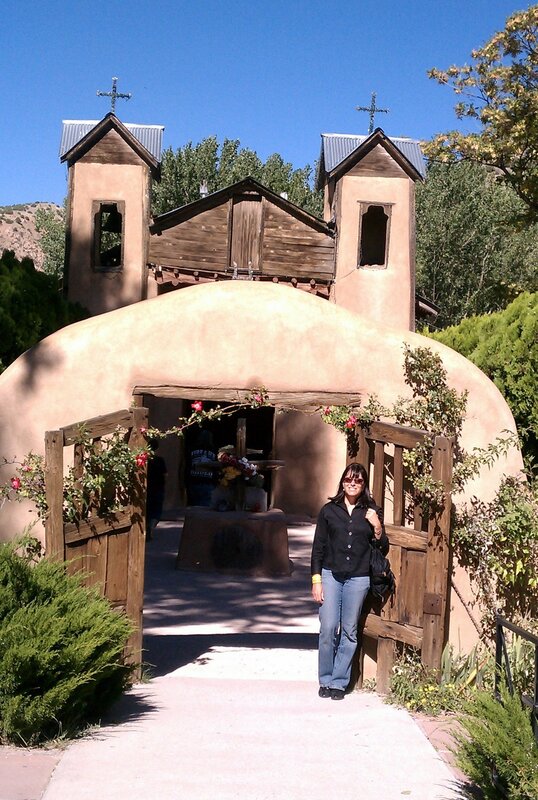 Time continues to march on with many echoes of the past reaching out to us in the present. 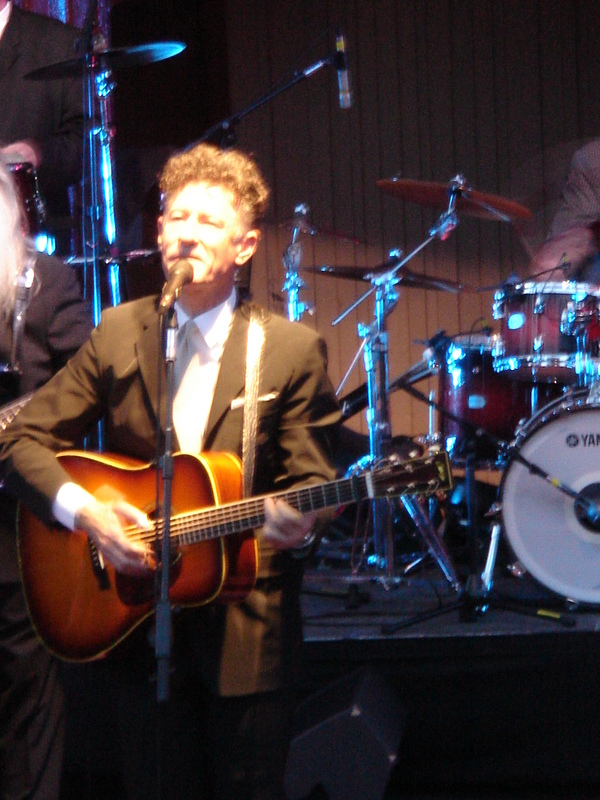 My husband, Rob, and I saw Hornsby and his band play several years ago at the Paulo Soleri where the crowd was much more boisterous. As I watched the more “grown-up” version of Hornsby at the Lensic, I recalled the Paulo Soleri performance ending with women climbing on the stage and dancing on top of his piano while he happily banged away on his piano keys. I am sure all agree, that we hope they keep the Paulo Soleri open – so many great memories have been made there and the venue lends itself to going back to that age of innocence when we all enjoyed going a bit crazy in sync with the beat. Was Last Night the Final Curtain on the Paolo Soleri? 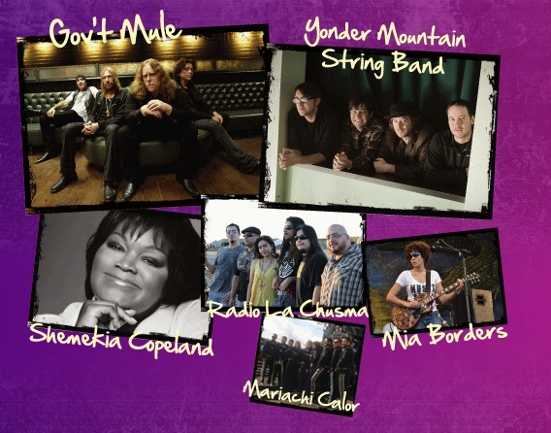 If so, the concert venue certainly went out in a blaze of rockin’ Texan glory. 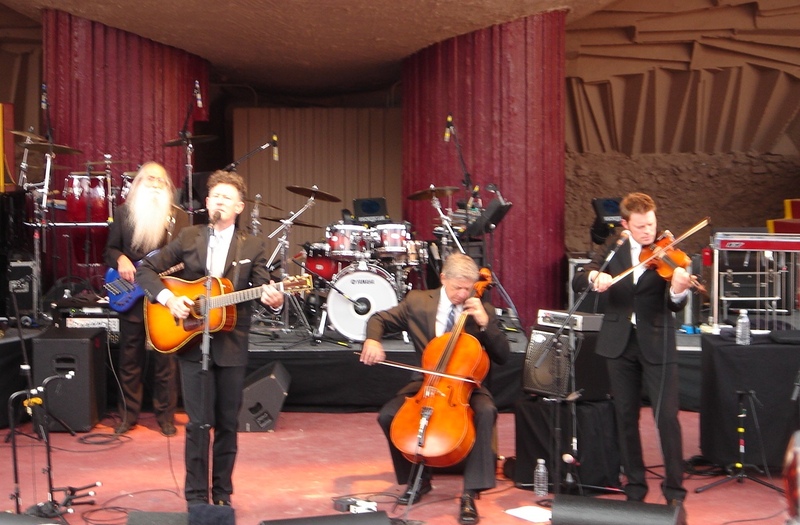 Lyle Lovett and his 15 piece band opened just before sunset and played nearly three hours straight for the amphitheater’s jam-packed audience. Mr. Lovett remained on stage during the entire show! Even the weather paid respects to Lovett and the Soleri—the forecasted thunderstorms remained at bay for the entire evening and as the concert drew to a close, even the clouds were gone and the stars came out. 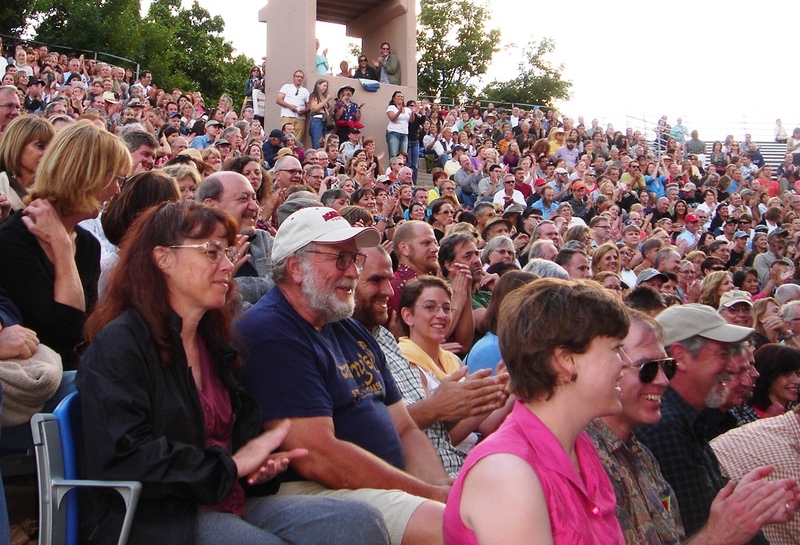 It had been another beautiful Santa Fe evening to sit outdoors and listen to some incredible music. 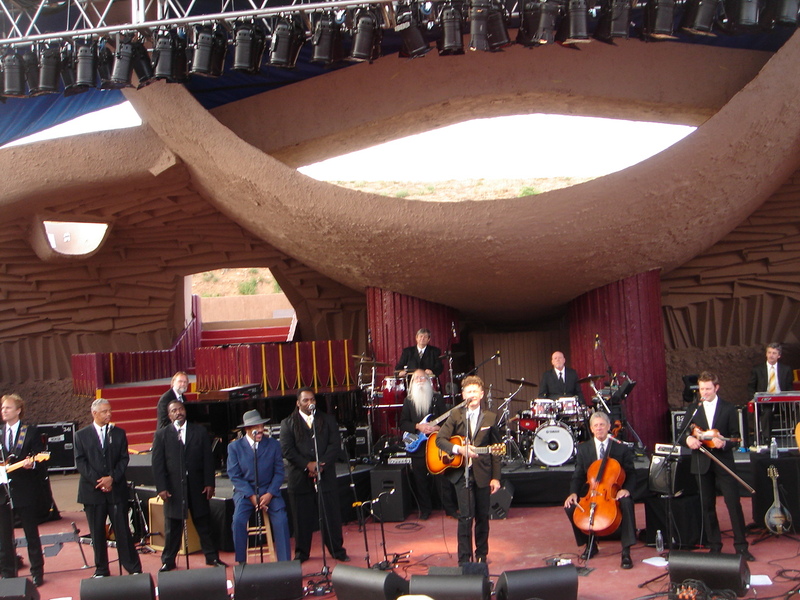 One of the highlights of Lovett’s performance, other than his dreamy rendition of my personal favorite, If I had a Boat, was his mention that when he played in Phoenix the night before, Paolo Soleri himself came by during his sound check to talk about the concert likely being the last at the Soleri venue. The crowd chanted “Save Paolo Soleri!”, and Lovett and his talented band played their hearts out. If this was the final performance in our beloved venue, Mr. Lovett contributed a wonderful swan song.